Days before the arrival of 2017, Iran’s air force was busy testing its homemade Talash air defense system as part of an exercise dubbed ‘Defenders of Velayat Skies 7,’ which some see as a military demonstration to warn potential adversaries such as Saudi Arabia, Qatar, and even the US, to stay away. The tests began with the launch of Iranian-made Sayyad-2 surface-to-air missiles in the southern region of Iran near Bushehr. Tasnim News Agency, run by the Islamic Ideology Dissemination Organization, reported that the tests included the first launch of a Sayyad-3, which boasts a longer range than the Sayyad-2. 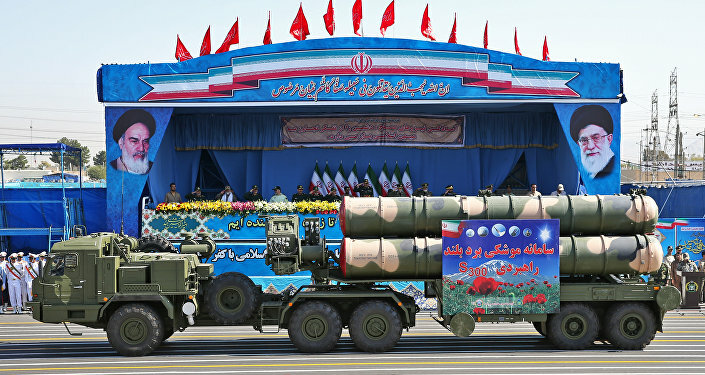 The Sayyad-2 is a medium-range, high-altitude missile that Iranian defense officials originally planned to bolster the firepower of Iran’s frigates. The dry-run of the Iranian-made Ofoq fire control radar, which calculates the path for missiles to hit targets, added to a swelling of local pride in wake of the successful launch. Bushehr is a coastal city on the Persian Gulf across from Saudi Arabia, Bahrain, Qatar, and Kuwait. Iran’s Air Defense forces are also carrying out a large-scale military simulation in the provinces of Hormozgan and Khuzestan, according to Tasnim. Weapons testing near the Hormozgan province could prove more worrying for China, the US, and Europe, which rely on oil transported through the Strait of Hormuz. Indeed, some 20 percent of the world’s oil flows through the ever-important waterway per day. In December 2011, an Iranian naval commander said closing the strait would be "easier than drinking a glass of water." Approximately 75 percent of oil aboard the cargo ships passing through the strait is headed for Asia, according to expert estimates.